Part of research conducted by Informa Telecoms & Media, entitled: Africa Telecoms Outlook 2014: Maximising digital service opportunities, identifies mobile broadband and the increase in global connectivity as key drivers behind this projected growth. According to statistics revealed in the research, there were 778 million mobile subscriptions in Africa by end June 2013 and the expectation is that the mobile-subscription count will reach one billion during 2015. Contrary to what is being experienced in other regions, in Africa mobile voice revenues are expected to grow over the next few years. The research adds that annual mobile data revenues on the continent are expected to rise from US$8.53 billion in 2012 to US$23.16 billion in 2018. Data accounted for 14.3% of mobile service revenues in Africa in 2012 but will account for 26.8% in 2018. “The growth in data revenues in Africa is being driven by factors including: the continent’s new submarine and terrestrial cables; the rollout of mobile broadband networks; the increasing affordability of data devices; and economic growth. As well as facilitating a rise in data connectivity in Africa, these factors are creating a platform for a range of new digital services on the continent, such as mobile financial services, e-commerce and digital content and services for the business market,” states an excerpt from the study. In an article on BizTech Africa, Nigeria govt talks tough over service quality, Minister of Communications Technology, disclosed at media parley with senior journalists, said the Ministry of Communication Technology, the Consumer Protection of Nigeria (CPN) and the regulator, the Nigerian Communications Commission (NCC) are collaborating to sanction or prosecute erring telecoms operators that have been delivering poor quality service to Nigerians. The Minister said “the Federal Government will no longer condone poor service delivery to subscribers and reiterated that henceforth, it’s no longer shall be business as usual, and operators must rise up to redress the current poor state of quality service delivery.” Another related development is the reduction in the cost of Right of Ways (RoW) in certain states in the country which will facilitate the roll-out of telecoms infrastructure in the country. 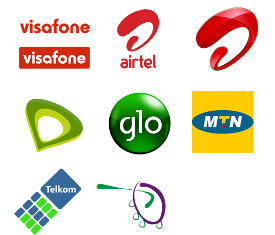 Association of Licensed Telecoms Operators of Nigeria (ALTON) identified that this reduction would definitely impact on telecoms service delivery. It will be interesting to keep tab on events as they unfold in 2014.